A big man with an even bigger heart, always looming larger than life. Zalmen Pollak entered into the of appliance repair services in 1999, when he was 35 years old. It took 2 years to have a team of 3 technicians on the road making people happy at appliance medic. An independent service company located in Bergen and Rockland counties in the U.S. and has been awarded for his work from all the companies that manufactures the appliances several times, which included the top companies like Viking, Whirlpool, LG, Ge, Bausch, etc. As a member of ASA group, Zalmen Pollak has made a massive company. He decided to give back a little to the people who contributed toward his success., with donating his knowledge to the people there were not able to afford the repair to their appliances His success solidified, he is giving a lot to people that can afford and making them very happy. Zalmen is a member of the synagogues and gives a lot to them. Zalmen Pollak has been also involved in various charities and local community organizations due to his aim of helping the less fortunate. He has become a member and contributor of many Local and organizing International Foundation. 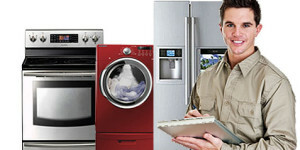 We will repair appliance for free for people that are poor and they are in need for repair. We go around and give training on appliances repair in differnt cities of the country. We are a orchestra playing music on all wedding and bar mitzvah and also if they can not afford that we will play feor free just to make them happy.